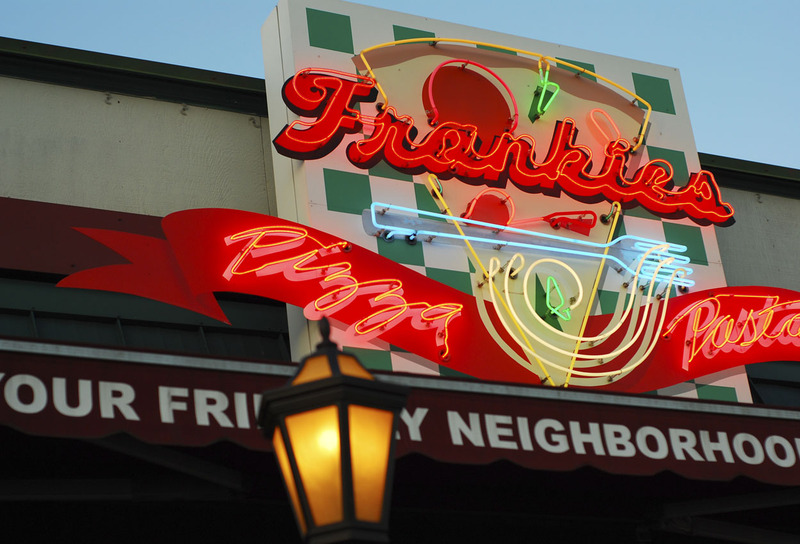 For 24 years Frankie’s was one of the most popular restaurants in Redmond. Now, due to redevelopment, Frankie’s has closed it’s doors and Frankie has moved on to other services including cooking classes (public & private), guest chef, and catering. Frankie also does photography, with the focus being on food, wine, people and travel. Check out his photography website at www.frankiesphotography.com. People often ask how I came up with the idea of Frankie’s. I explain that I designed a place that I would like to eat at and hoped others would too. I longed for a little neighborhood place where my family and I would know the customers and they knew us. What resulted of that dream was a small, casual Italian cafe serving in pizza and pasta located in the downtown area of the friendly town of Redmond, Washington. Frankie’s is our baby. We are a family owned and operated restaurant; opened by my wife Rhonda and I in 1993, with the help of our two oldest sons, Chris and Noah. 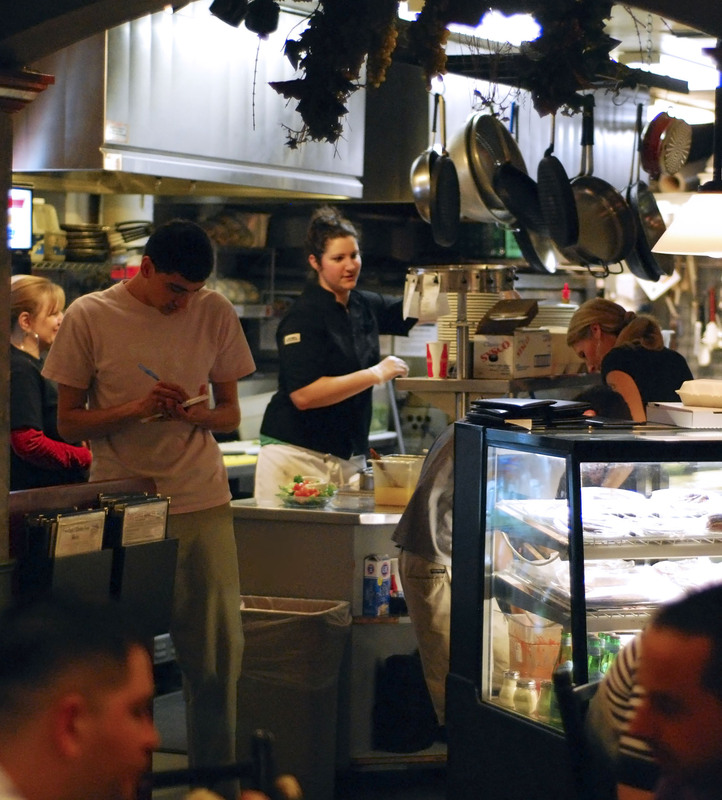 When their two younger siblings, Joel and Jenna, came of age, they too came to work at the restaurant. Not long after we were joined by our daughter-in-law, Chris’s wife Sandra. It is truly a family business. Today, our oldest son Chris is our manager, though Rhonda and I are still involved in day-to-day operations. Our son Noah is our head pizza chef; and our daughter, Jenna, who is in the Army Reserve, recently returned to work for us after serving a year in Iraq. We call Frankie’s “your friendly neighborhood Italian cafe” which we feels aptly describes who we are. We’ve somehow resisted the pressure to expand. We enjoy working together and having just one restaurant allows us to have the hands-on touch we desire, while still maintaining a good quality of life for all of us. From the beginning we looked to fill a niche between an everyday pizza joint and white tablecloth Italian dining. It appears we’ve found the spot. Since our inception, we’ve been blessed with excellent business. Plan on waiting for a table when you come in. We make nearly everything from scratch at Frankie’s; from our pizza and bread dough to our sauces, soups, desserts, and salad dressings. We even make our own sausage. Our pizza is made in a New York style with both traditional and gourmet toppings, baked in a traditional stone hearth oven built in New York. Our pasta menu blends a mix of traditional Italian recipes and our original creations. We have a seasonal menu which allows us to utilize fresh produce in its peak season such as asparagus, Walla Walla onions, fresh Washington apples and wild mushrooms. One of our proudest accomplishments at Frankie’s is our wine list. One of our goals is to have the best value wine list of any restaurant in the Seattle area. That means high quality wines at prices which are affordable. About two-thirds of our list is Italian. We also have a great selection of northwest wines. Finally, I’d be remiss if I did not credit our staff for a big part of our success. These accomplishments would not exist without them. We’ve been blessed with many long term employees. Their loyalty and commitment have made our job so much easier and enriched the experience of those of you who are our customers. I’m proud to have them as part of our extended family. To them I say a hearty “mille grazie”! Frankie I work with a guy from Washington and ate at your place and had the Gluten free pizza. He was telling me how wonderful the crust was. I have to eat Gluten free and would love to have a really good pizza dough. Would it be possible to get that recipe so I could finally eat some good pizza. Hi Pam. Unfortunately we do not make our own GF crust. We developed a good recipe but the problem is having a GF environment in which to work the dough (our pizza area always has lots of flour). So the one we use at the restaurant we purchase. It comes on its own aluminum pan which we can put directly in the oven. I can provide the one we developed if you’d like. It is quite a bit different than the current restaurant product but we actually liked it better. If interested, email me at frankpizza@aol.com.